Wouldn’t you love to relax in the evening in the outdoors with the cool breeze gently blowing on you while you lay back and relax on your sofa? Many homeowners are opting for having a Seattle outdoor living room installed, and these homeowners are relaxing in style and comfort. Undercover Systems has been making homeowner’s dreams of having an outdoor living room come true for two decades. We understand and know the importance of having a space that is dry year-round, and our goal is providing a space that can be used for relaxing and entertaining. Who Will Design the Layout of the Outdoor Living Room? The homeowner will be the one to design the layout of the outdoor living room. 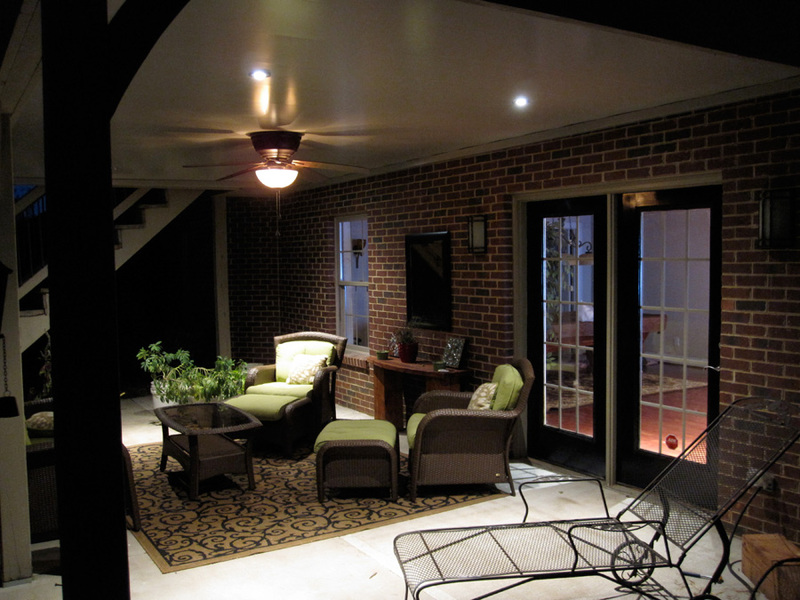 Underdeck Systems will provide the installation for the underdeck services after you make the aesthetic decisions. You can choose the color, style, and layout. It will be your outdoor living room space, so you should be the one to decide on how it will look. Our professional designers can guide you along each decision so that your outdoor living room matches your vision. Many homeowners are worried that having an outdoor living room is too costly, but that is simply untrue. An outdoor living room is very affordable. The underdeck system is installed on the present deck, so the space will stay dry. This makes the cost affordable for homeowners. The cost for the furniture and décor is up to the homeowner’s style and preferences. You can decide how much you want to spend on this area, so you can stay within your budget to get your outdoor living room affordably. Homeowners are amazed that by adding an outdoor living room to their home, their home value can be increased as much as 20%. The space will now be able to be used year-round, and it will stay dry and comfortable. Your outdoor living room will make you the envy of your family members and friends. Are you interested in having an outdoor living room installed? If so, contact Undercover Systems today! We have been installing outdoor living room for over twenty years. Contact us and let us discuss outdoor living room options with you today.